Share Furniture is a custom design studio focused on functional art objects. 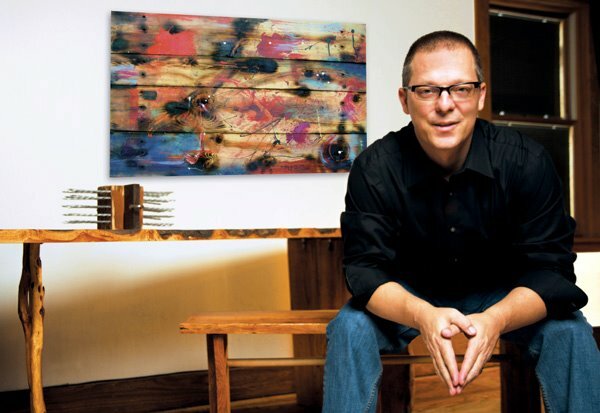 Primarily the efforts of Oklahoma City artist/designer Kyle Golding, but collaborations and partnerships do often occur. Our philosophy is to create unique, limited edition pieces as well as custom builds from our designs or yours. If you are interested in any of the furniture on our website or would like to explore a custom design, feel free to contact us. Our furniture is only available here or at gallery showings. At Share Furniture, we are currently taking gallery bookings, participating in group shows and exploring wholesale/retail options. If you have an opportunity to present, we would be pleased if you contact us. See Kyle Golding describe the creative process behind the Slab Lamp on YouTube.